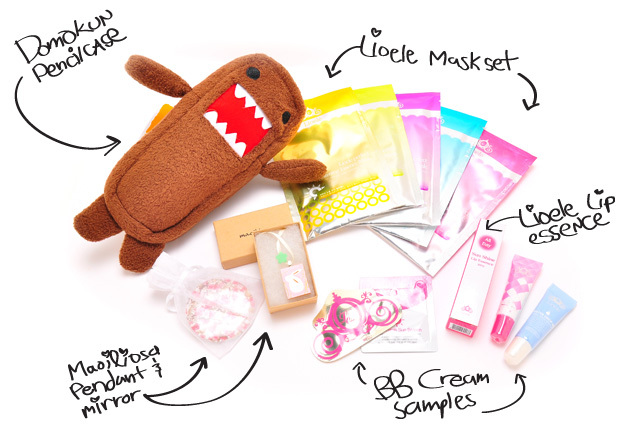 for winning the Domo-Kun Lioele gift set!! Soyfashion will be contacting you shortly hun!! I am flying to LA for IMATS~!! Hanging out there for 2 weeks 6/22-7/4 & meeting my lovely babes out there! I CAN'T wait!! Congrats! Enjoy IMATS! I'm jealous =P Can't wait to see pics! Congratz to the lucky winner! Have fun in LA! Woo hoo! Haven't won a giveaway in a while. I feel super lucky. Thank you!! Awh noo!! I wish i could meet you!! Not going to LA til After july 4th T_T. Have tons of fun Eki!! awww congrats to the winner!